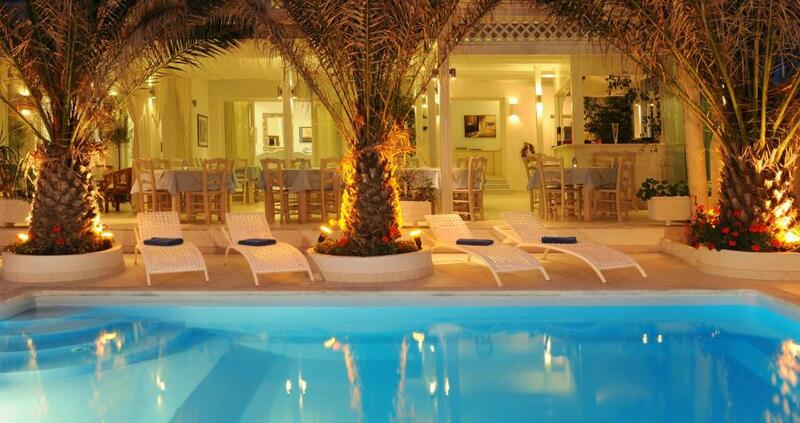 Lock in a great price for Alesahne Beach Hotel – rated 8.1 by recent guests! The room on the 3rd floor is private. The pool is adequate. The free beach beds is a plus! The lobby is huge! The staff. Where super helpful. And changed my room for the better. When I was hmmmmm. With out. hesitation. My room was lovely. After that. Excellent staff, friendly, beautiful room, clean, great experience overall and a great value for money. The location was awesome. The staff was very friendly & helpful. Comfortable bed, balcony, cozy decorations, good contact with hotel staff. Very clean room and bathroom. Location very close to beach. Good reception staff. The staff were wonderful and would always greet you with a smile and eager to help with any request. However, this is where the positive side of our stay ends. 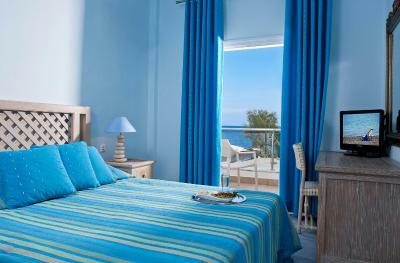 Rooms are all air-conditioned and consist of a bedrooms and a bathroom with shower. 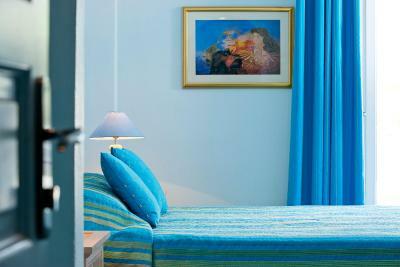 In-room facilities include satellite TVs, safe and internet access. 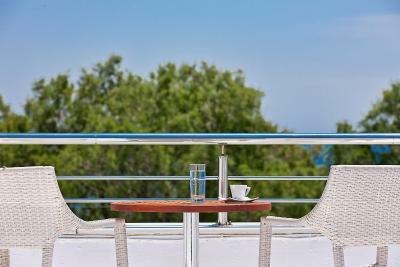 Guests may relax by the swimming pool, enjoying a refreshing drink or snack at the pool bar, in a relaxing environment with friendly and caring staff. 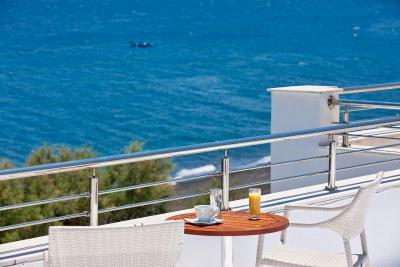 Kamari beach, well-known for its cosmopolitan atmosphere, offers a great variety of restaurants, cafés and shops all within walking distance from the hotel. The bus stop is only 150 feet away. 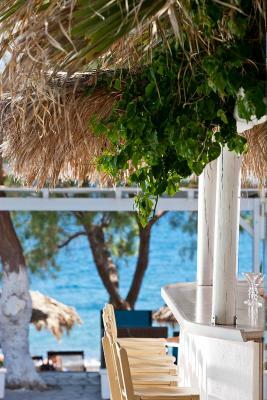 The hotel is conveniently located 5 mi from Fira, the island’s capital, 3.1 mi from the airport and 6.2 mi from Athinios Port. 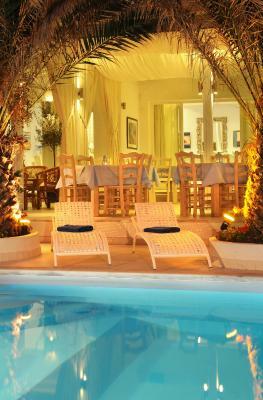 When would you like to stay at Alesahne Beach Hotel? 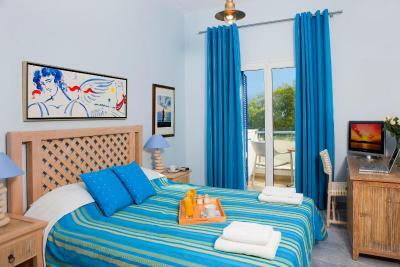 Stylishly decorated, this room includes one bedroom, a bathroom with shower and a private veranda with garden views. This superior room includes a bedroom, a sitting area, bathroom with shower and a veranda with garden views. Please note that this room type may accommodate an extra person (see hotel policies). 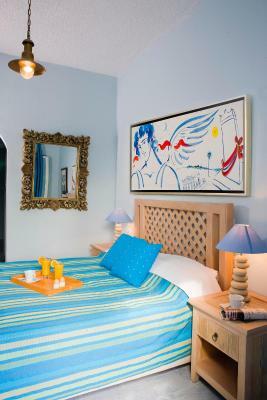 This superior room includes a bedroom, a sitting area, bathroom with shower and a private veranda with sea views. 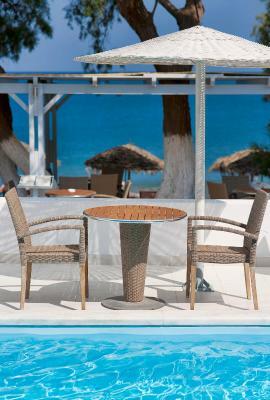 This room includes a shared pool with sun beds and seating area. At Alesahne Beach Hotel we strive to offer you the best in facilities and services, ensuring an unforgettable holiday experience. 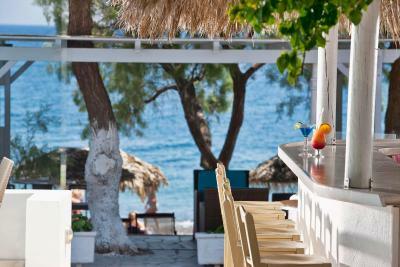 House Rules Alesahne Beach Hotel takes special requests – add in the next step! Alesahne Beach Hotel accepts these cards and reserves the right to temporarily hold an amount prior to arrival. Room and bathroom was pretty small. Quite small tv monitor. WiFi not strong enough to watch movies through netflix. Not many vegetables during breakfast. The photos of the room, especially of the bathroom showed a much newer and nicer status. Breakfast did not include coffee. The beach nearby was great. The shower was terrible - it was so tiny (I’d guess 45cm x 45cm) the shower curtain didn’t reach the floor (and was dirty) so the bathroom flooded every time. We ended up tying up the shower curtain as it was doing nothing except sticking to you! On our last day there was no hot water - apparently it was a hotel-wide issue and they had called engineers to fix it, but not ideal when we have to check out. I’ve been to a few hotels and locations. This would have to rate as one of my worse experiences to date. Value for money rates poorly. For the price we paid, I expected something special and was disappointed with many things. Too over priced for this hotel, rooms are very small (this is not an issue if the price was more reasonable), there was mould on the bottom of our shower screen, the furniture was old and dated. I understand that this is Santorini and prices can be high. I found accommodation online for half the price, if you are willing not be by the ocean, I wished had booked something else. If you have a car, bike or AVT (quad bike) if is easy to get around the island in a day. Would I recommend this hotel, not really, the prices would have to drop to a more reasonable level to recommend this hotel. I should point out the staff were lovely, cheerful and helpful. Really tiny bathroom. vehicles are not allowed near the property area, You will need to walk for couple of minutes to reach the bus stop or the taxi stand.. Just to note if you have heavy luggage. (although the staff can do the heavy lifting if you want :)) Cheaper options are available with similar quality. 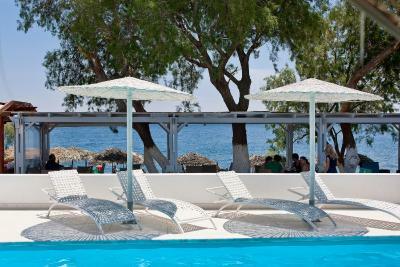 Location - in-front of the beach, with private sunbeds nice breakfast and helpful staff. Unfortunately I met with an accident and the staff helped me by contacting the hospital and arranging a cab to the hospital even at 12 in the night. The breakfast was very good but the coffee was awful. The server would just add water to the pot without putting new coffee grounds. We all saw him do it countless times. I guess the 1st or second pot might have been good but after it was just coffee color water. Rooms are a bit outdated related to the price. 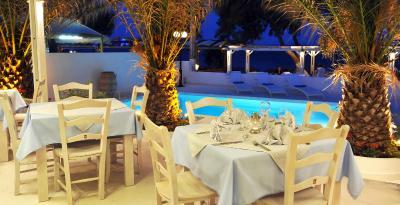 The location is perfect, staff extremely friendly, beach lovely and everything close to the hotel. The room we where in for a family was just to small it needed the sofa bed so was gutted that the booking had gone wrong, we thought we had booked a room with one so it was a very tight squeeze but as I said we managed and at least it was clean, most of the rooms had nicer bathrooms as we had quite a few friends staying there but ours again maybe the type of room we booked didn't have a great bathroom it was very small and the shower just leaked everywhere so worth booking the bigger rooms for sure but over all the hotel was clean, lovely, amazing staff and amazing location. the location was great, staff where very helpful and friendly, the manager did her best to try and move us to a bigger room but in the end it was just too full so they helped us by adding an extra bed, removing some furniture to help give us some extra space. in front of the beach as well which was perfect, sun beds free for the hotel so that was a bonus. Breakfast was ok but found that there was just to many tempting places for breakfast so half the time we tried new places, pool is right at the front so you can see the beach which is quite nice. Overall I would really recommend the hotel. We had an amazing time.